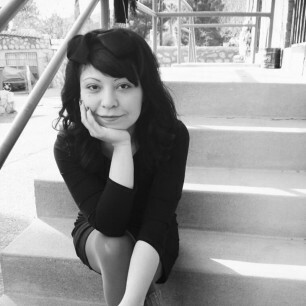 Terese Marie Mailhot graduated from the Institute of American Indian Arts with an MFA in fiction and is the Saturday Editor at The Rumpus and a columnist for Indian Country Today (where her work has been recognized by the Native American Journalists Association). Her work has appeared in The Rumpus, Carve Magazine, The Offing, The Toast, Yellow Medicine Review and elsewhere. The recipient of several fellowships--SWAIA Discovery Fellowship, Vermont Studio Center Fellowship, Writing by Writers Fellowship, and the Elk Writer's Workshop Fellowship--she was recently named the Tecumseh Post Doctoral Fellow at Purdue University.